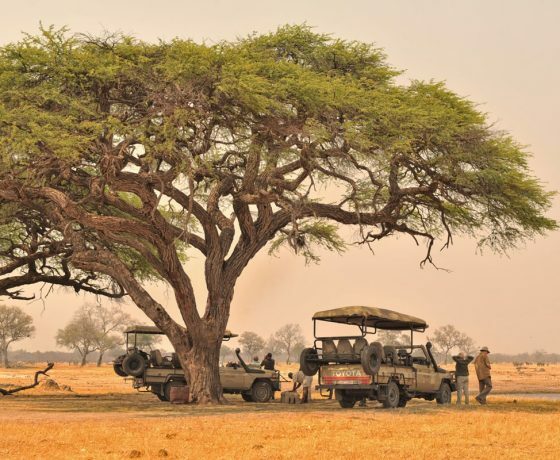 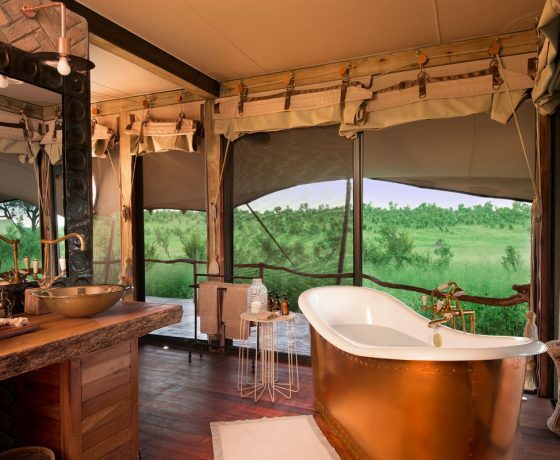 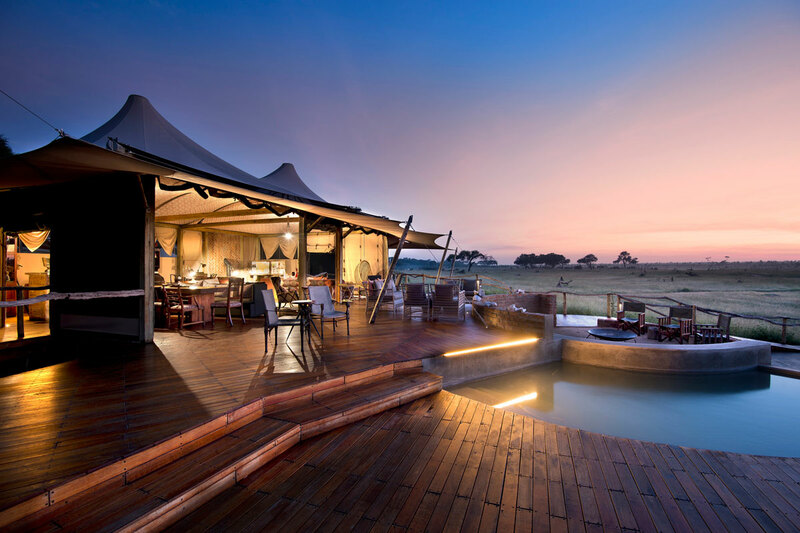 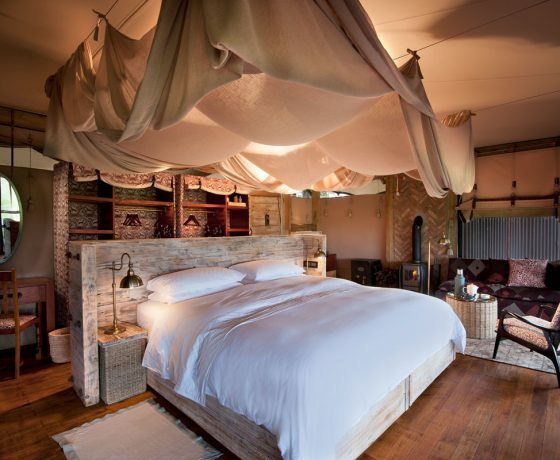 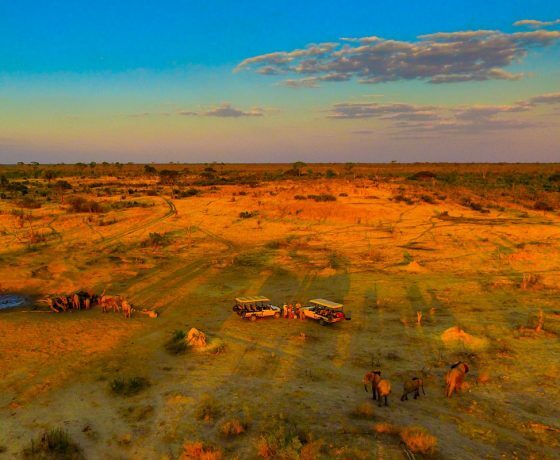 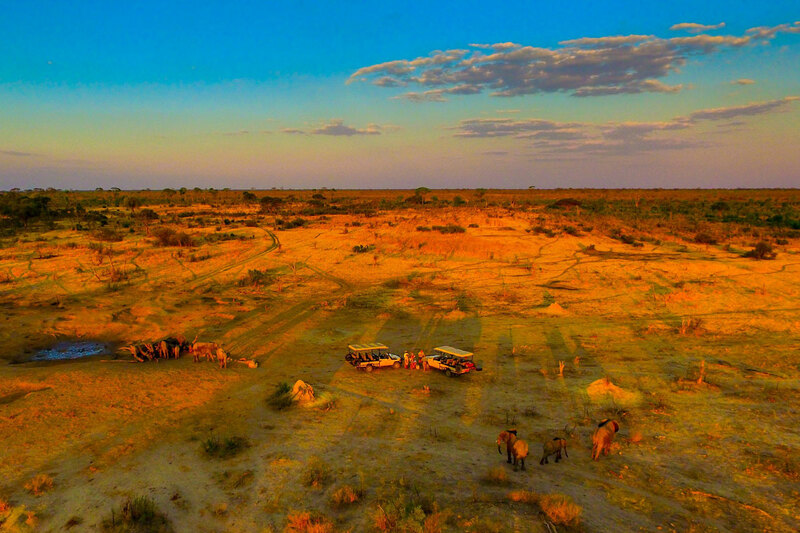 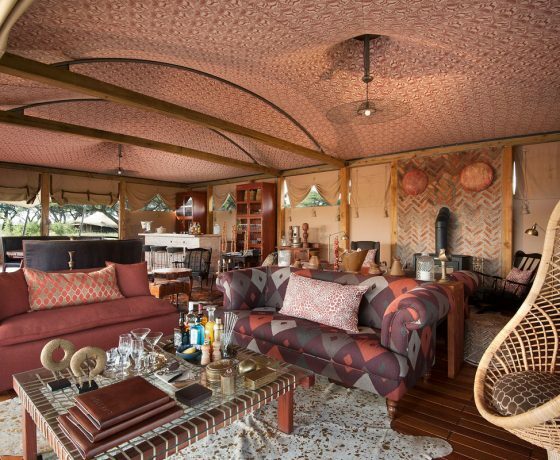 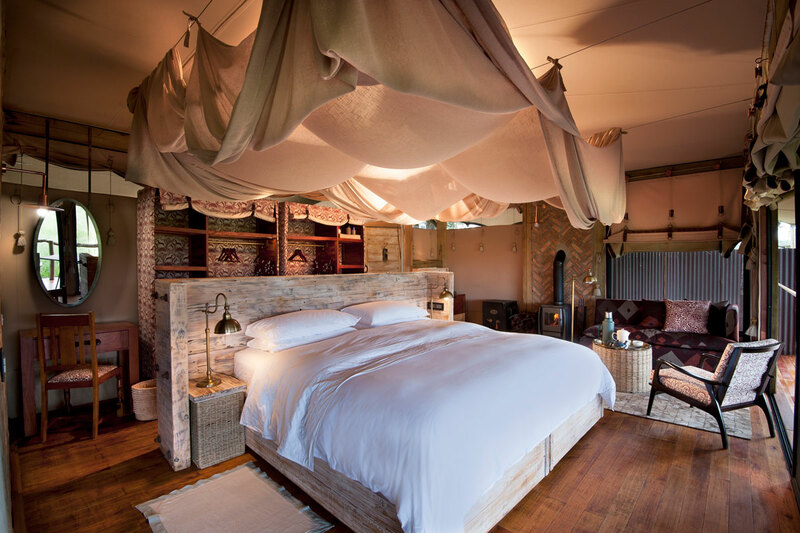 Somalisa Camp is a luxury tented camp set in a grove of camel-thorn trees beside a dry river bed in a 15,000 hectare private concession deep inside Hwange, Zimbabwe’s largest National Park. 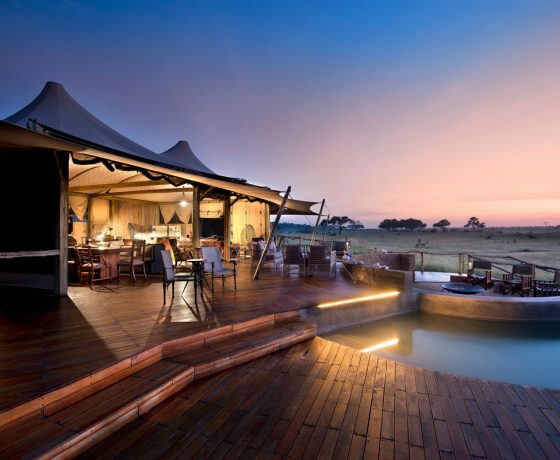 It enjoys a very peaceful location far from other camps, and overlooks a waterhole. 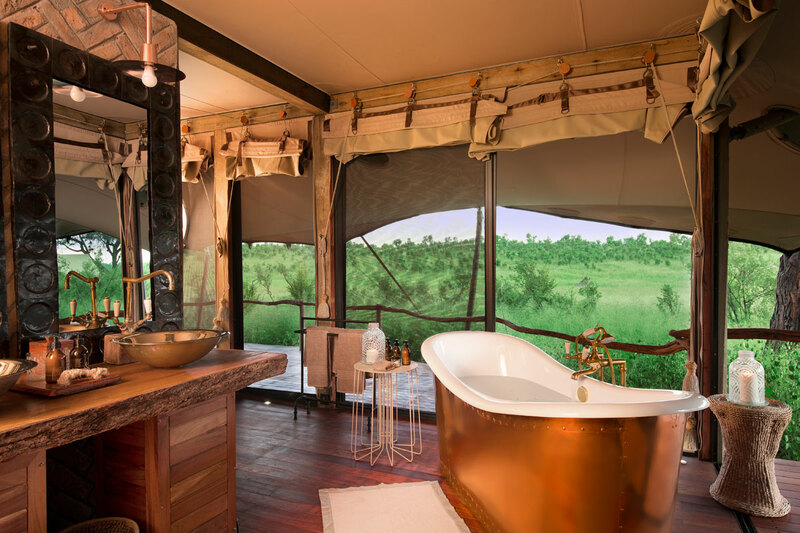 The seven large, elegantly furnished ‘Sail’ tents at Somalisa have sliding gauze doors leading to a private deck, a wood-burning stove for the chilly winter nights, and en-suite bathrooms with a free-standing ‘slipper bath’, a flush loo and in- and out-side showers. 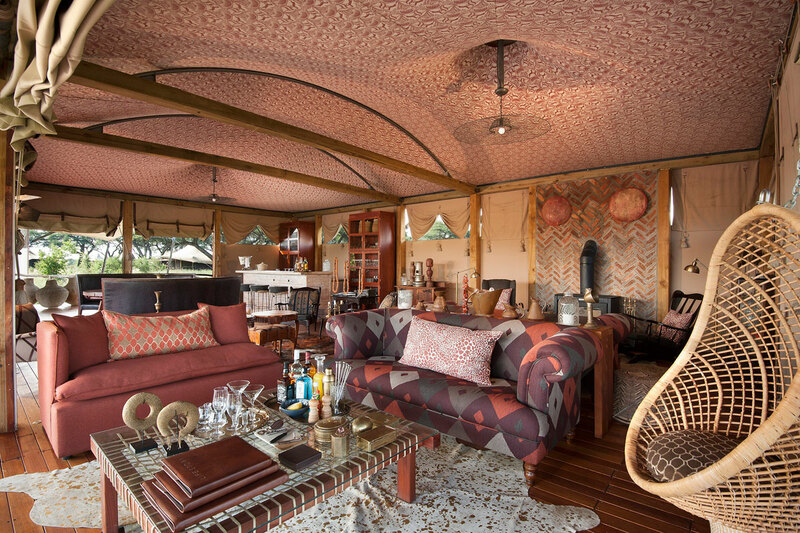 Delicious meals are served in the tented mess area or on the deck outside. 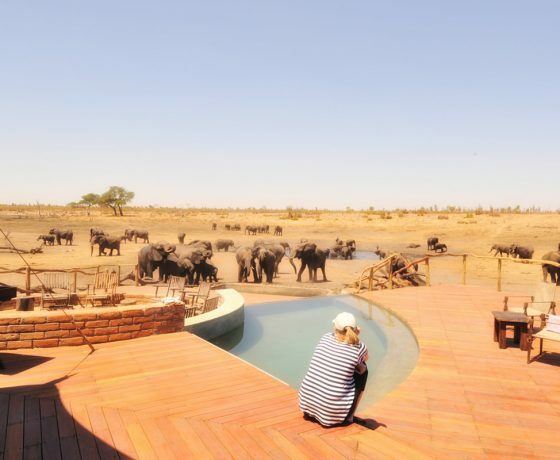 The elephants seem as likely to quench their thirst from the plunge pool as from the waterhole. 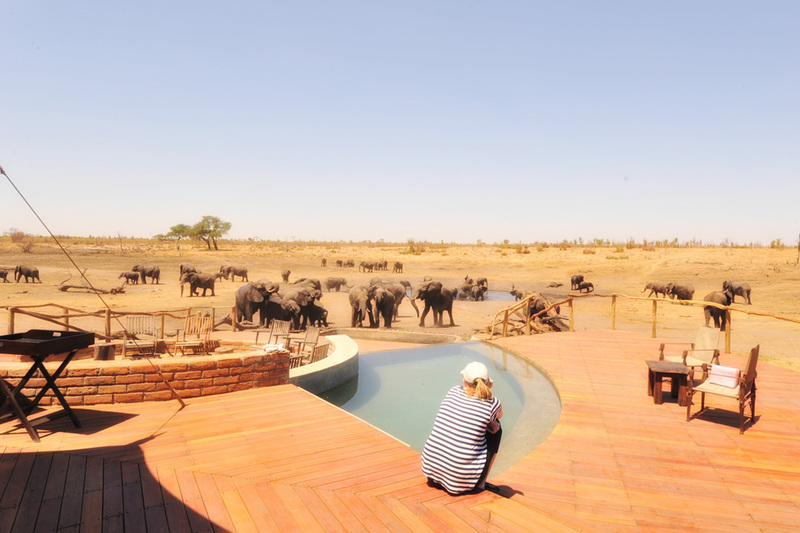 A second pool has therefore been built higher up the decking for those wishing to swim in cleaner water without a trunk joining them! 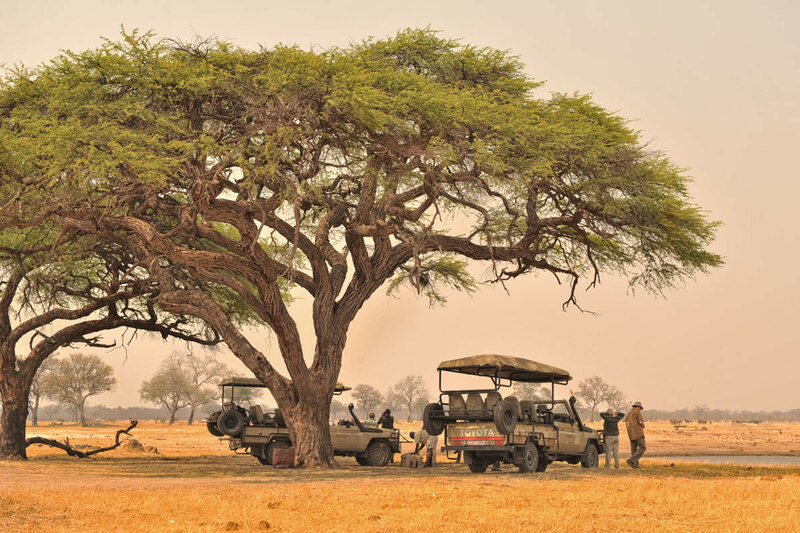 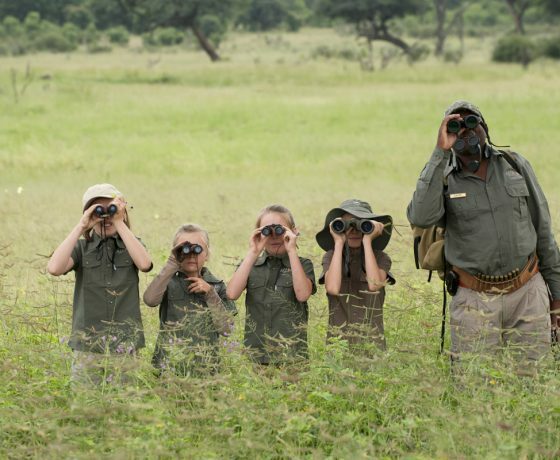 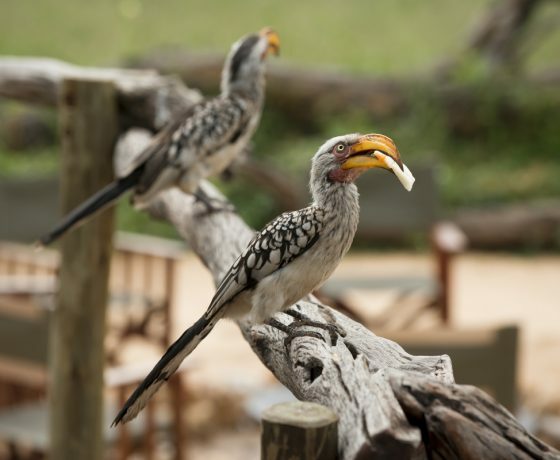 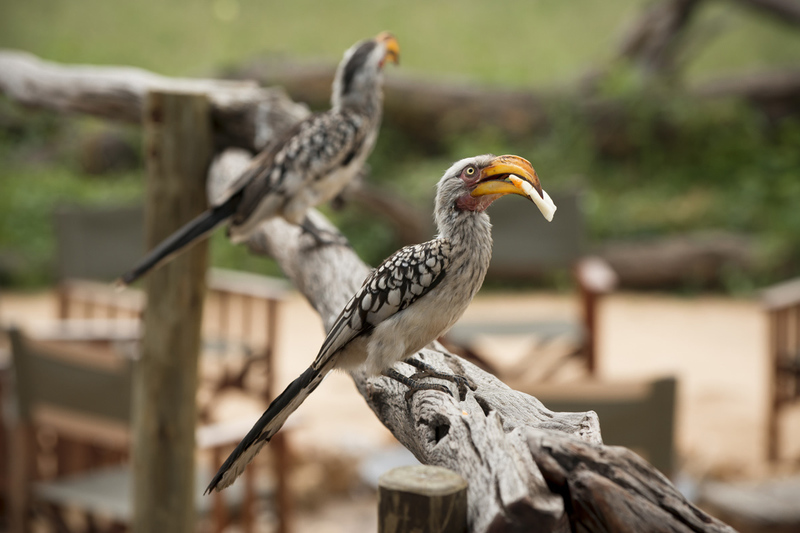 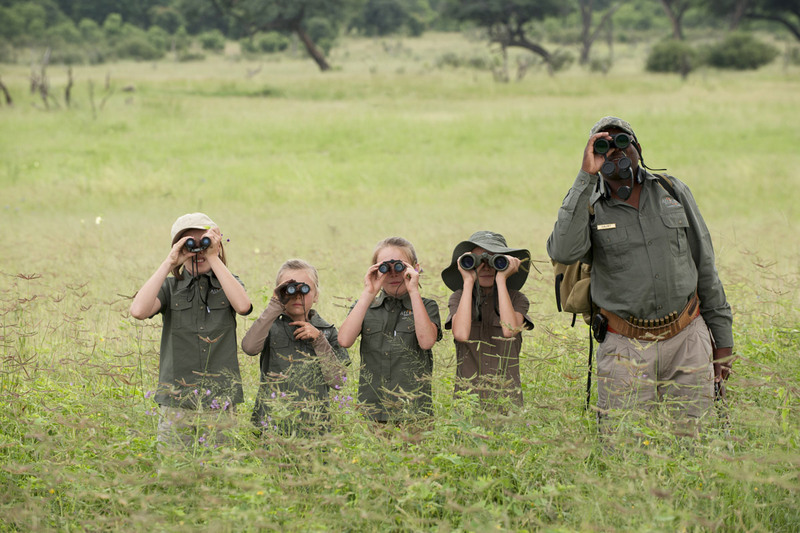 Activities at Somalisa revolve around the abundance of local wildlife and include guided day and night game drives, and bush walks. 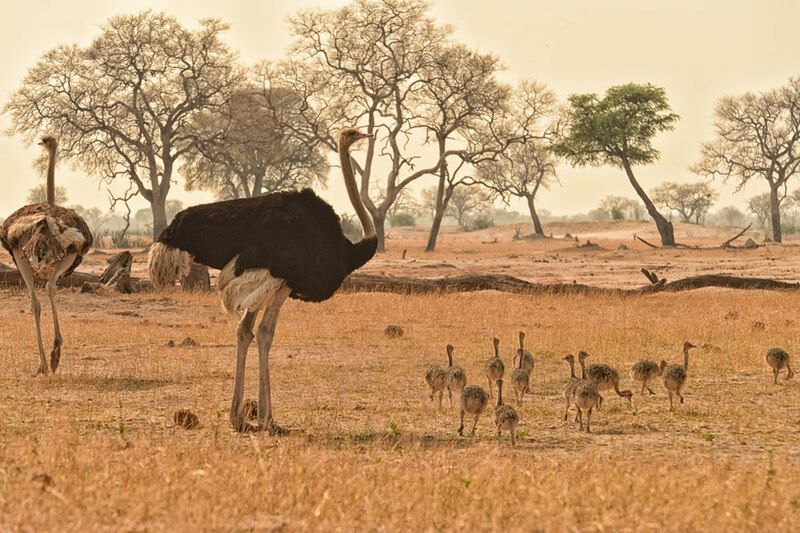 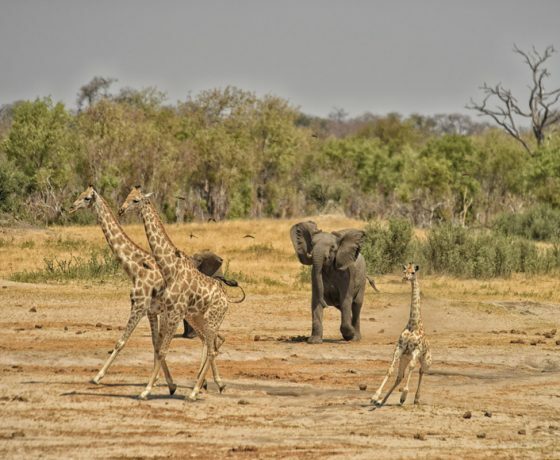 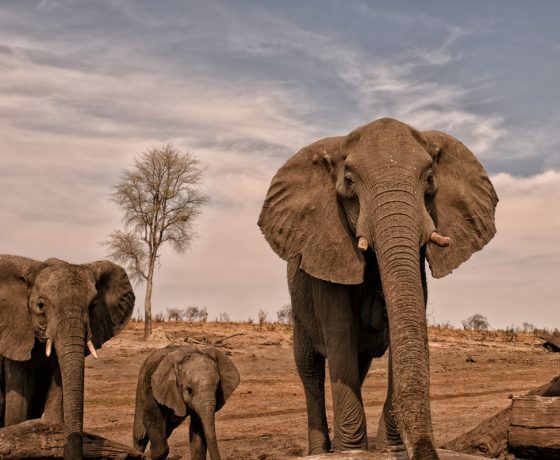 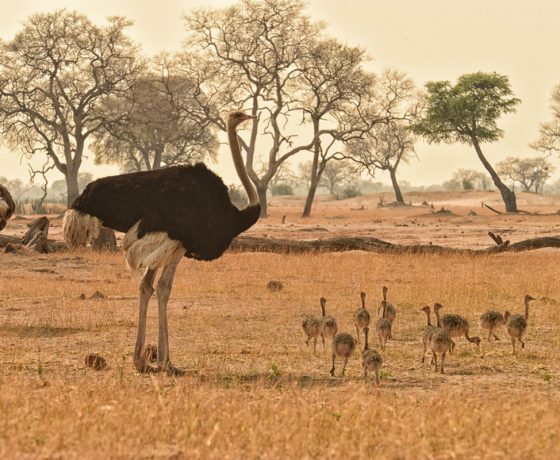 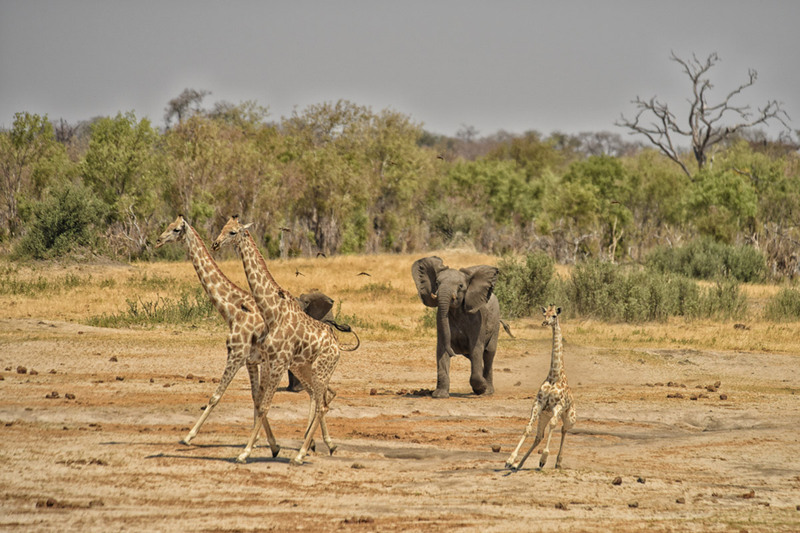 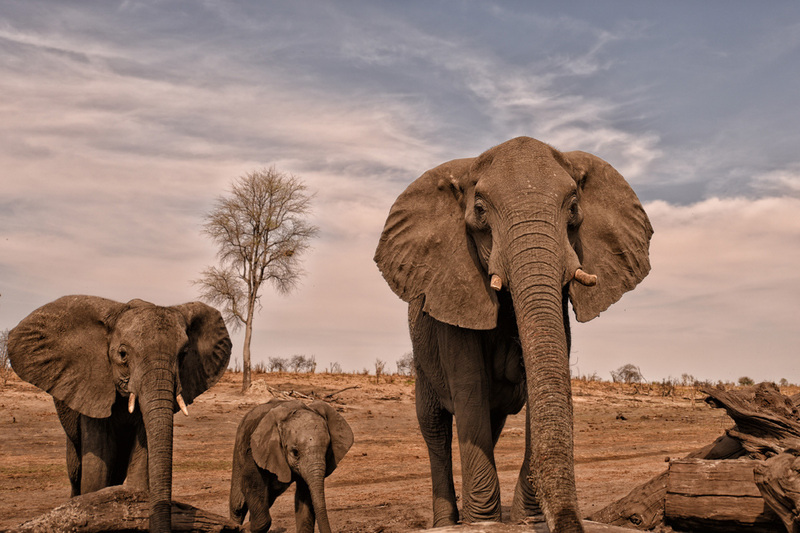 Known as one of Africa’s finest wildlife havens, especially for its big elephant herds, Hwange offers visitors the opportunity to view vast numbers of buffalo, lion, cheetah, wild dog, and a wide variety of plains species.